Hello everyone! This is an opportunity to link up 1 poem of your choice as it is a no-prompt day here at dVerse. However before we go into that, let me give you can update of our publication project, dVerse Anthology. 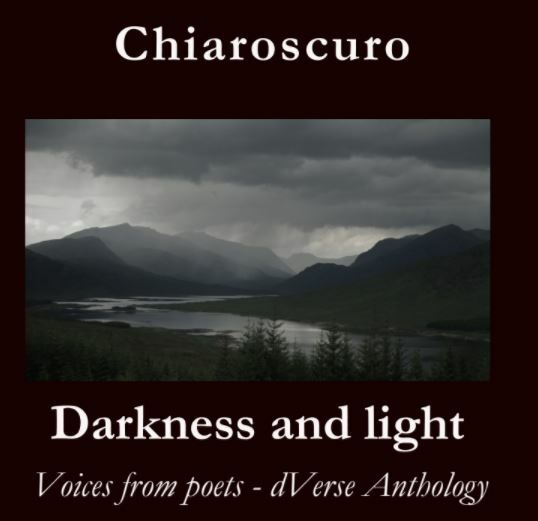 This is a voluntary and collaborative venture between the dVerse team and over 100 poets from around the world. Poems were selected from those who participated in our prompts from the period August 2016 to early March 2017. As a bonus, we invited some special poet friends to join us. Plus we also included 1 poem by Vivienne Blake, with the permission from her daughter. Vivienne, sadly, died suddenly last July 2016. Here’s the preview of the title cover and listing of all the poems in the Table of Contents. The credit of the beautiful cover photo goes to one of our own, Paul Dear. https://goo.gl/forms/ jbq3crxGP4oX9ioR2 . This will be available via Amazon and the cost of 1 printed copy is US $10.00 plus shipping charges. Payment via credit card is acceptable. Hi All…I’m linking up the Jazz poem I missed for Amaya’s prompt. Great to see the photo on the cover. Proud moment for me. I’m so glad for the book coming out soon… If i can just finish the last things it might be possible to get the book for Christmas. Great if that is possible. Good present to be able to give. Good evening Grace! I am so looking forward to holding a copy of the anthology in my hands! I am posting another fairy tale inspired poem this evening and looking forward to reading and commenting. Thank you, Grace. I’ve taken the last of the antibiotics and am now allowed to go back to my regular medication. I saw the doctor today and he is arranging for a dietician to help me with my complex and contrasting dietary needs – low residue versus diabetic versus vegetarian! Maybe I’ll give up the idea of becoming vegan for now. The poetry Anthology will be available to buy also from Amazon in Europe so shipping should be easy to fix. Also I’m looking to set up a few sessions where me might broadcast live with you writers as guests. Looks great, I didn’t know you were all doing this. I look forward to a print copy and just submitted the pre-order form. Its more than a year in the making and we announced it last July 2016 for our 6th anniversary project. This is our first self-published book and who knows, we may try again for 2018. Thanks for your support. A huge thank you to Bjorn and Grace and the members of the team for all of the unsung hours that have gone into the anthology! You are a treasure. Thank you for helping us writing… it will be a lot of fun when we all can flip the pages and read…. Lots of good poems. Since most of the poems were written and posted while I was on hiatus, they will be a welcomed fresh bit of reading penned by wonderful friends. Thank you for hosting and thank you to Th entire team for all the hard work. It’s much appreciated! I’ve been looking forward to this collection as a keepsake and gift idea. It truly is a labor of love. Thank you Grace, Bjorn, and Paul. Congrats on the anthology guys! Especially to those that helped put it together. It is quite a bit of work choosing and editing and figuring everything out. Ha.. yes the final stages in making it look like a book took more time than I would have guessed. And I have dreamed about pagination and table of contents. It was great fun.. and it was good to be able to do it gradually… we treated each linkup as a contribution and all the bartenders were involved in selecting… many hours of collective work. Thanks for persisting with the anthology – I know how hard it is to get poetry proofs right. My post this week is the outcome of feeling old and romantic at the same time last weekend..I’ve given up dreams of feeling young again! Happy Thursday, Poets! Thanks, Grace, for hosting OLN tonight, and for the great news about the anthology! I’m looking forward to it! Thank you for hosting, Grace, and for sharing the news about the anthology. It sounds amazing–and like it’s been a lot of work. I’ve added my link, and I’ll be back to read others later. Happy Friday Eve! Thank you for hosting, Grace. Good news about the anthology. I’ll look forward to getting a copy and reliving happy poeting times. Have dinner guests tonight so I’ll be checking back tomorrow! So looking forward to seeing the finished anthology project. My first ever poem published! Have a good evening everyone. I must congratulate those of our team members who have put untold effort into this project and each of the rest of us who contributed. So looking forward to ordering a few copies for family members. Hope to jump in with a poem in time. such a great effort by all of you, congratulations on putting it all together, the cover is stunning with an incredible content. looking forward to my printed copies soon. well done everyone on the team. I have learnt so much from the poets here. a whole new meaning to poetry and prose. blessed abundantly. Congrats to everyone involved in the anthology – some impressive poets in the contents list. Thanks for hosting, Grace! I’ve been traveling the last few days. Hopefully I will have something to post tomorrow. I have been travelling again so little chance for poetry. Until now. Wow! This anthology is such a wonderful idea. Great effort and thought by dVerse team. Congratulations to all poets and all the best. Look forward to reading it! Good job on all the hard work. Curious how the poems for the anthology were chosen. How did you decide how many poems from each author? Thanks Sabio. The team helped with the selections for 6 months, but in the end, we had to balance and put a sequence to the poets and poems, along with the theme we had in mind. Some of the poems are actually short (from the Quadrille prompts). It’s not an easy task and took lots of patience. Also, there were poets who declined our offer or did not respond to our invitation. Cool. Thanks for the story. I can see the challenges. Well done ! Great work all you pubsters who put together the anthology! Yay team!!! Candy, can you please edit or put your link here. The one in Mr. Linky is in error. Thanks. We had fun collecting the poems… but the editing and ordering was more of a hassle. I will make my late rounds later tonight or tomorrow. Made it in. Will visit this evening. I enjoy being a part of this group. It is good to be able to connect with many of you and read your fine posts. I enjoyed reading all of your posts, but since I do not have a google account I found it would not accept my comments. I tried posting with my word press account, but it still would not go through. I really did enjoy reading them even if you did not get a response from me. Thank you… I will correct it before it’s sent to the prints.